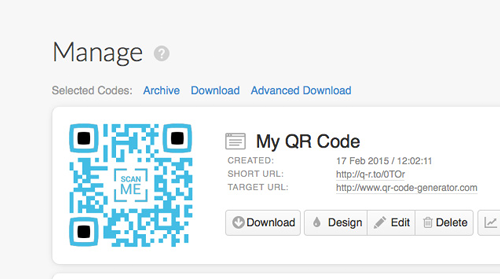 The classic way to link QR Codes to any page on the web. Link to any page on the web using URL Codes. View your home page, video, contact form or social media page from your smartphone. No editing features and statistics included. Scan the QR Code and view any page optimized for your device. Encode a link to a web survey, YouTube video or any other interactive content. 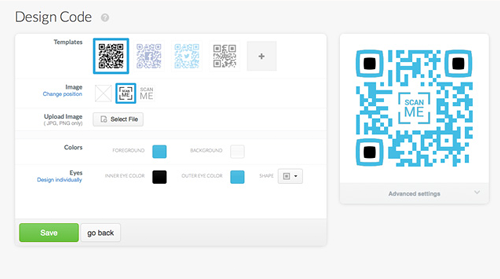 There are different QR Code types to choose from, both Dynamic and Static ones. 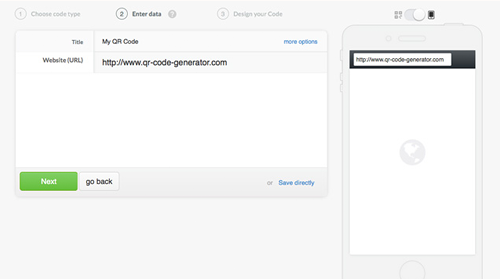 Select the URL QR Code in the list of Static Codes. Type in the URL for your landing page or a link to a video. Click on the Next button. You can customize the design of the Code according to your wishes. For example, modify the color of the background and the foreground, insert an image into the Code or change the look of the corners. We also offer a few basic design templates to choose from. All changes are seen directly in the Code preview. 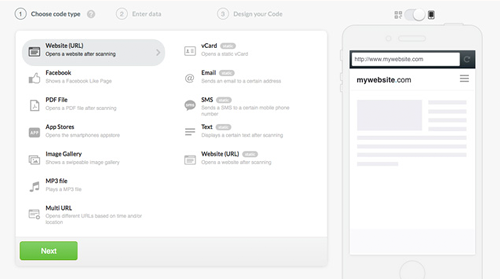 Request your free 14-day trial and create your customized URL Code now.